Who's celebrating today with a little margaritas & pinatas? 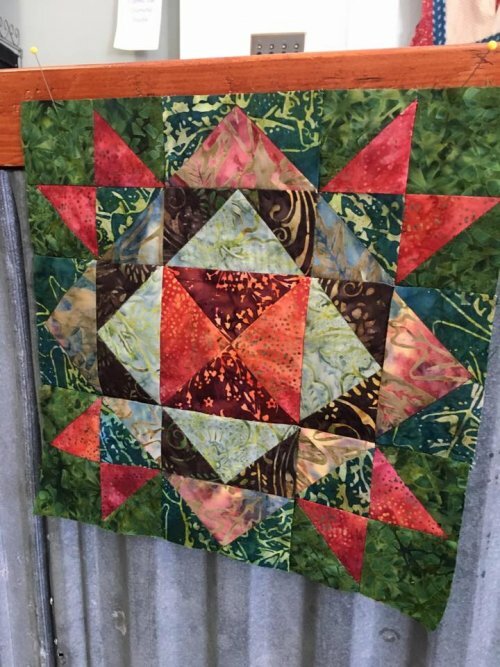 I'm celebrating Cinco de Mayo be sewing on some gorgeous jewel tone batiks - because nothing says Spring like bright colors! Plus this warm weather has me wanting to play with all the colors of the rainbow. We had a blast last weekend demoing the Strip Tube Ruler and making new friends! But we are back in the shop and have lots of fun things going on! Bust out that stash and bring any project to work on - in store shopping special for those who come to sew! May also brings you a NEW Sew Blessed Spotlight Item! This month get the Strip tube rulers, patterns, books and kits all 25% off! PLUS come in on Fridays from 11:30-1:00 for a free demo on how to use the rulers. Demos last about 15-20 minutes. 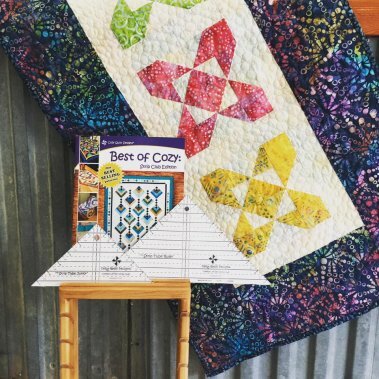 Come on by and learn how to turn those jelly rolls into beautiful projects using the Strip Tube system! Tomorrow is Woolie Saturday and we hope you will come on by and sew with us for awhile. We've got some fun NEW wool kits out to show you! 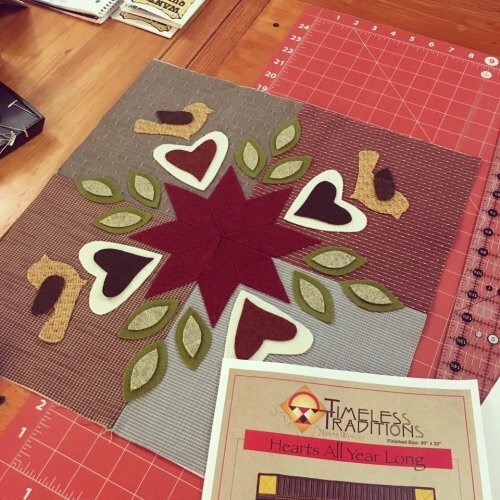 Like this Hearts All Year Long kit by Timeless Traditions. This beautiful project has a beautiful primitive look to it and is perfect to warm up any space. It's time to start thinking of Mother's Day gifts! 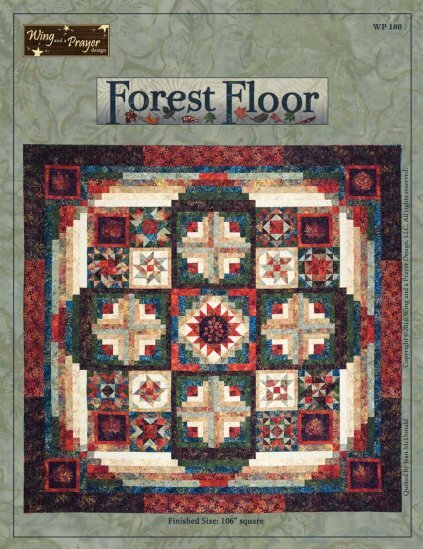 Come check out our selection of patterns, kits, notions, and more! We would love to put a little gift package together for you - wrapping included!! Plus we also have gift certificates available too! 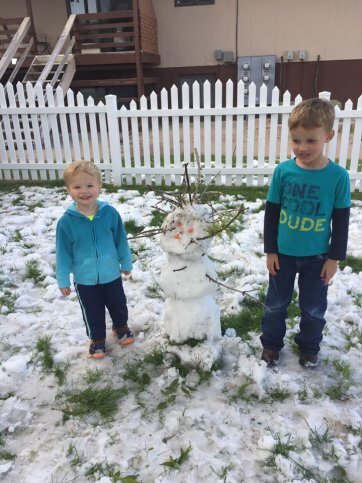 My boys had fun making a snowman at nana & papa's house on Monday. He's even got some funky hair! If he could talk I think he'd have a Jamaican accent...'ey mon! Have a blessed weekend - enjoy the sunshine!